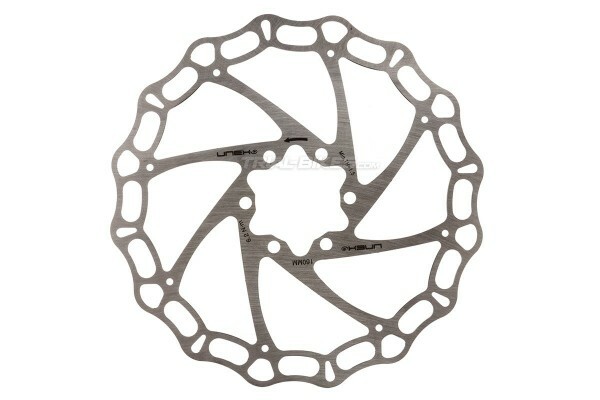 - New high quality disc brake rotor by renowned Asian manufacturer Unex. 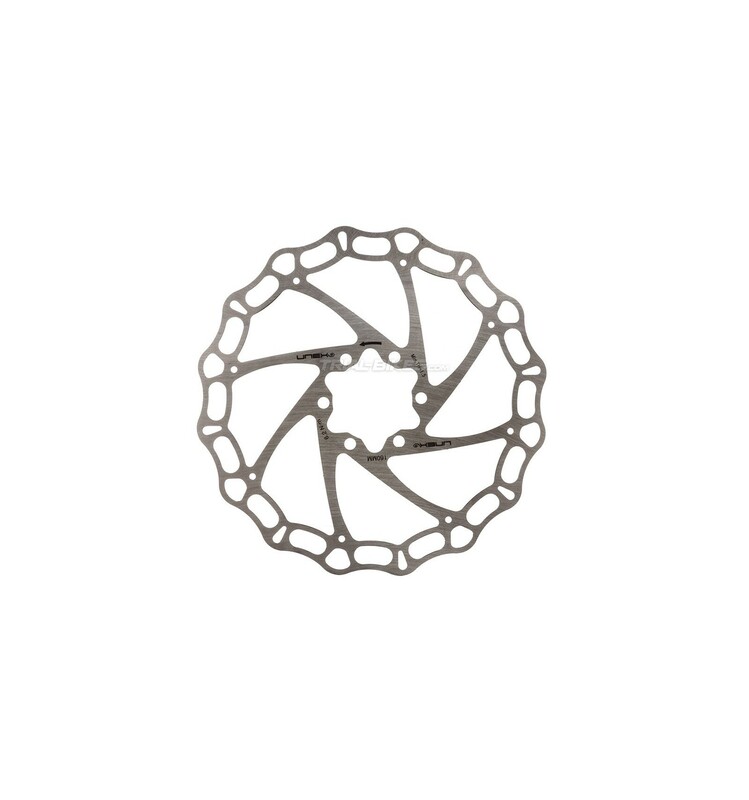 - Exclusive Crown design by Unex, made from high grade 410 stainless steel, which allows for improved heat dissipation and braking performance. - Wavy outer edge and drilled braking surface help save a considerable amount of weight. - Supplied with 6 high quality Torx T25 bolts, made from high grade steel. - Laser etched Unex logos and product info. 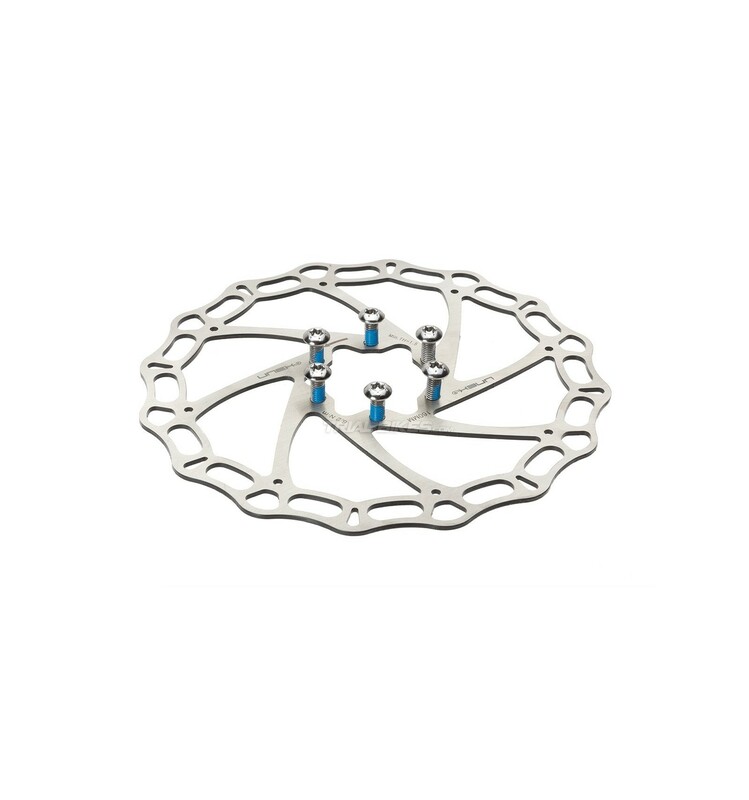 - Available in silver, with two sizes available: 160mm or 180mm.